A dental implant is an excellent option for long-term tooth replacement, but a common question is how long do dental implants last? Factors that alter how long dental implants are viable depend on the patient's lifestyle and dental hygiene. The technology of dental implants has become so progressive over the years that implant failures due to rejection or functionality issues have become problems of the past. Preexisting medical conditions, diseases and implant misappropriation are more likely factors to create an implant to fail. Implant: The implant is a titanium post that is attached to the jawbone and acts as a root for the crown. Abutment: The abutment fastens to the implant and holds the crown in place. Crown: The crown is a ceramic tooth that attaches to the abutment and provides the look of a natural tooth. Overall, the exposed abutment and the crown are more vulnerable to damage than the implant itself. When maintained with proper brushing and flossing, the implant itself can last a lifetime, assuming the patient gets regular dental check-ups twice a year. A crown, nevertheless, is rated to last around 10 to 15 years before normal wear can cause the tooth to need replacement. That said, excellent dental hygiene could extend the life beyond15 years. Mouth location is also part of the criteria in the likely longevity of a dental implant. Implants in the back of the mouth receive more strain from all the chewing. This can cause the implant to fail more sooner than implants near the front of the mouth. A dental implant is a permanent answer for missing teeth and has become the standard tooth-replacement choice. Unlike dentures, a dental implant provides enough support to act as a natural tooth and can withstand biting or chewing without slipping. What factors can cause an implant to fail? Dental implants deliver long-term, indefinite sustainability when cared for correctly. Many factors can cause an implant to weaken prematurely. People who have diabetes or a preexisting condition, such as cancer, have a higher risk of dental implant failure. Like natural teeth, you must take care of dental implants through regular brushing and flossing. In worse cases, poor home-care can lead to gum disease, which is another culprit that can obstruct the success of a dental implant. Feel free to contact a local cosmetic dentist to learn more about dental implants and proper care methods. If you are contemplating dental implants, it is wise to see the best implant dentist possible. 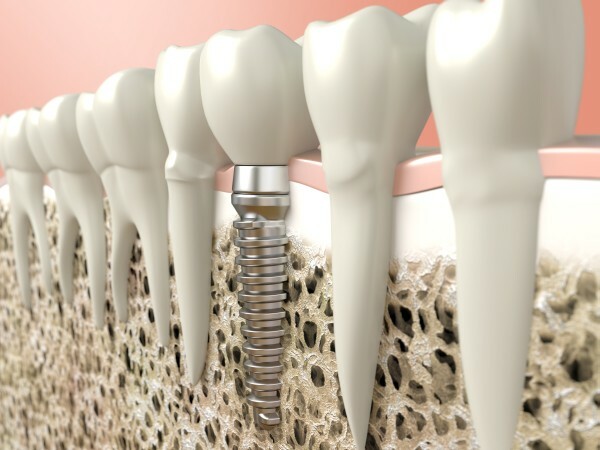 An implant specialist uses the latest techniques and technologies to achieve satisfying results. Once the implant is positioned, the patient can have a beautiful restoration crafted by a cosmetic dentist. Contact a cosmetic dentist today to schedule a dental implant consultation.